Three new MING series Android-powered smartphones have been introduced today in China, by Motorola. The Motorola MT810 is designed for China Mobile’s TD-SCDMA network, while the Motorola XT806 is designed for China Telecom’s CDMA-2000 network. 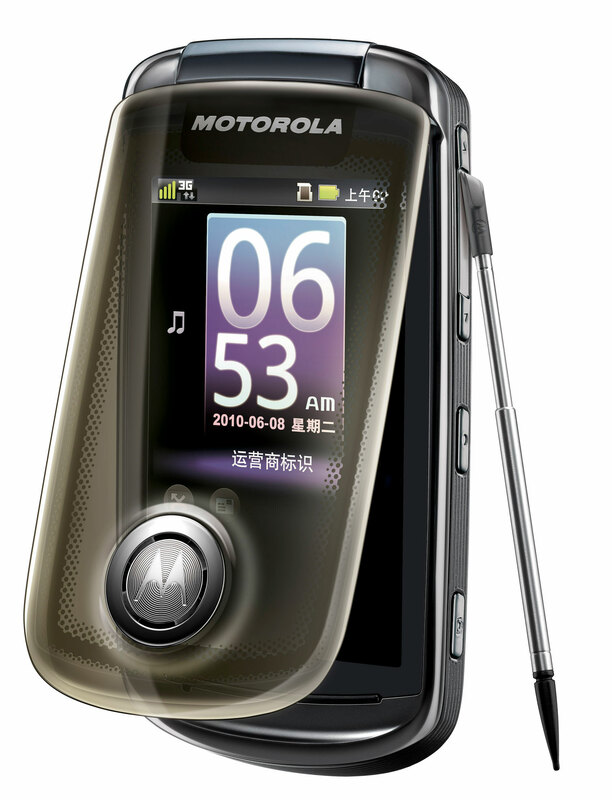 The Motorola A1680 is designed for China Unicom’s WCDMA network, and all of those phones combine unique Android touchscreen experiences and MING styling and features. Vice President and General Manager of Asia Product Management at Motorola Mobility, Mr. Bin SHEN, said that with MING and Android they are bringing together two great Motorola success stories in China, and that MING has been a hit in China because it was designed especially for the way Chinese people live, work and play with their handsets. 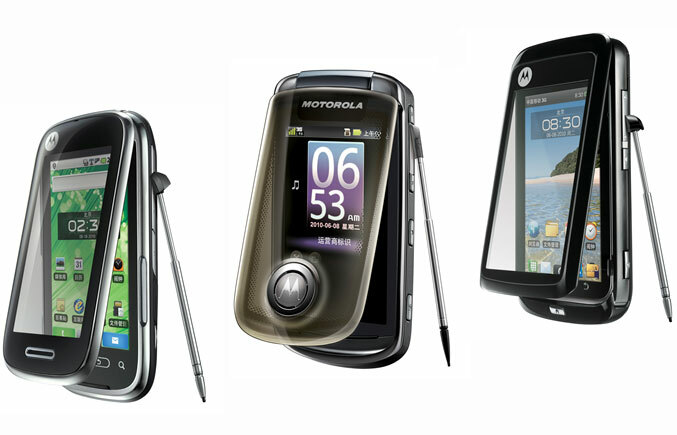 The three Motorola MING smartphones feature a full touchscreen experience and come equipped with an upgraded version of the MING flip design. 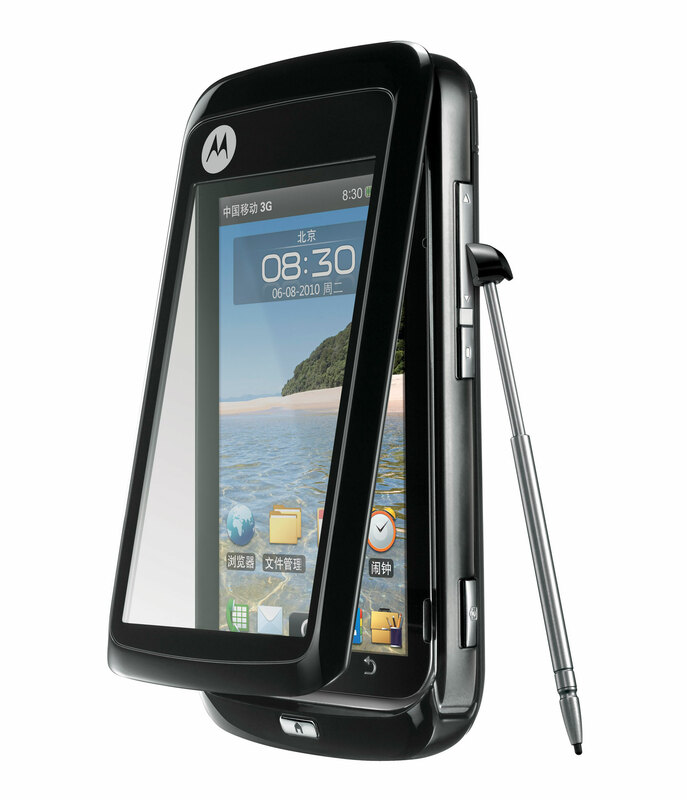 The Motorola MT810 is designed for the largest mobile telephone operator in the world, China Mobile, while using the China Mobile’s OPhone OS 2.0, which is an implementation of the Android OS. The MT810 is equipped with a 3.2-inch resistive touchscreen display, and a second capacitive touchscreen which offers full finger-touch functionality while the phone is closed with the cover. The MT810 also has features like video capture in a 720 x 480 resolution, 720p high definition playback and China’s CMMB mobile television format. China Mobile’s Mobile Market has over seven thousand applications and tens of thousands of themes. 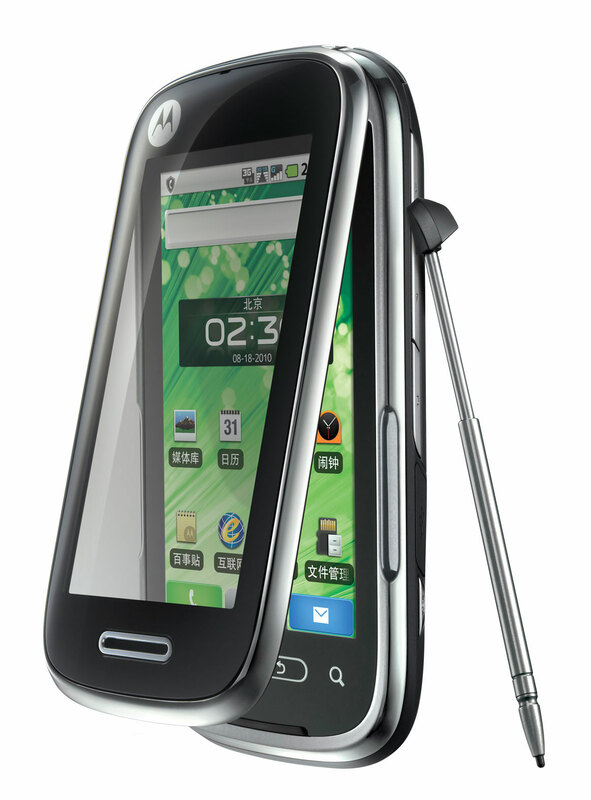 The Motorola XT806 is offered by China Telecom and Motorola. The smartphone comes with integrated application tools like “Quicknotes”, which offers voice recording, videos, pictures, sketches and screen snapshots. 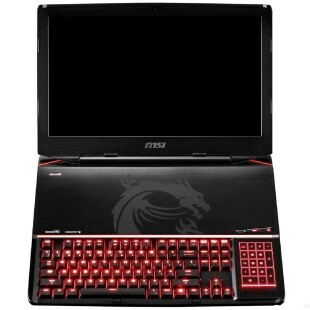 The XT806 sports a transparent flip design, featuring a 3.2-inch super-sharp 300dpi display. Powerful GPS navigation services and 720p high definition video capture and playback are also important elements of the Motorola XT806. The Motorola SHOP4APPS has over eight hundred applications for this device. The Motorola A1680 sports an elegant design based on the MING heritage and features a 3.-1inch AMOLED touchscreen display that produces crystal clear picture and excellent touch capabilities. Supporting China Unicom’s WCDMA network, WAPI and WiFi1 High-Speed Connectivity, the Motorola A1680 provides easy access to the mobile Internet. The A1680 also comes equipped with the intelligent handwriting recognition software by Motorola, combined with a 6th generation SoftStylus handwriting system, providing easy capturing of your personal hand writing style. 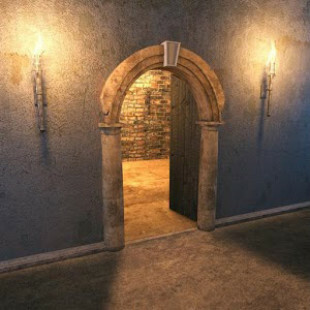 The smartphone’s features also include a five megapixel camera and GPS navigation services, and also SHOP4APPS by Motorola, with more than 800 applications.